Thinking about moving to Austin? Here are five great reasons you should make the move. 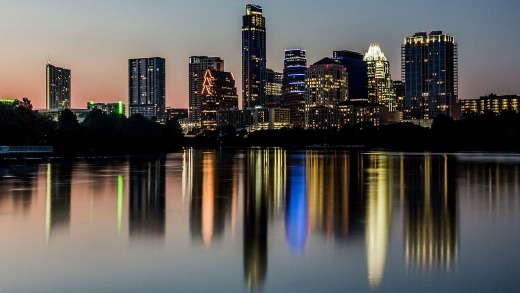 This alone should be reason enough to pack up and move to Austin: a 2013 report released by The Business Journals found Austin to be the only city in the U.S. with double-digit job percentage growth over a five-year period. The report ranked Austin as having the fastest growing economy, scoring 83.9 out of 100 based on 18 different factors. Dallas-Fort Worth, which is also located in Texas, came in second with a score of 81.3. Austin is known for its diverse music scene, which is probably why it was given the official slogan The Live Music Capital of The World. Current data suggests that Austin has more music venues per capita than any other city in the U.S., which is pretty impressive to say the least. One of the city’s most prolific music events is the multi-day festival known as South By Southwest (SXSW). More than one hundred thousand people attend SXSW each year, further boosting the city’s already thriving economy. Austin is classified as a humid subtropical climate, meaning it’s characterized by warm-to-hot summers and mild winter days. In a typical year, residents here will experience just 19 days in which the temperature drops to or below freezing. This creates the perfect conditions for people who enjoy running, hiking, kayaking, biking, or performing other outdoor activities. The mild year-round temperatures allow residents to spend more time outdoors, which subsequently promotes a healthier lifestyle. Yet another reason why you should move to Austin, Texas is for the food. Granted, every city has its own unique food, but Austin is known as the barbecue capital of the country. From grilled steaks and baby-back ribs to fish tacos and Tex-Mex, the choices are endless. And if you’re looking for healthier options, you can rest assured knowing that Austin is home to the international organic grocery chain Whole Foods Market. The National Recreation and Park Association awarded Austin the Excellence in Aquatics award and the Gold Medal Award for its outstanding parks. The city is home to over 50 public swimming pools, all of which are free for the public to access. Of course, Austin is also home to the largest natural swimming pool, the Barton Springs Pool. This pool, which is fed by a nearby spring, boasts an average temperature of 68 degrees Fahrenheit all year long. Thinking about moving to Austin? Our team of moving professionals specialize in making your move as easy and stress-free as possible and we would love to help with your next move. 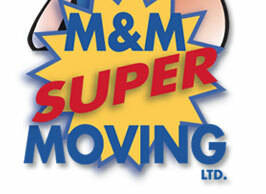 Get a free online moving quote today.